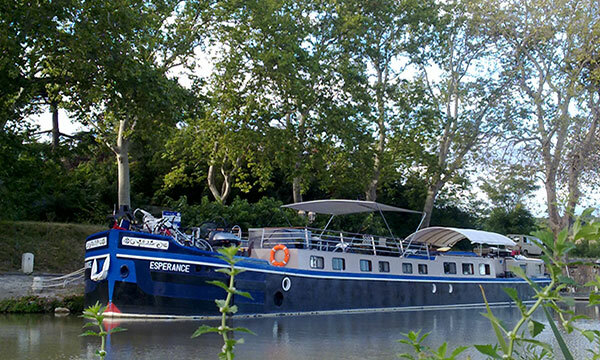 Francophiles and foodies are invited to join a festive celebration of cuisine and culture uniquely found aboard the Savoir Vivre! Specialized culinary experiences are offered daily, the most appealing of which is the vessel’s exclusive “Chef’s Tasting Tour”, at which all six dinners are taken on shore at nearby and authentic bistro restaurants. Ranging from a casual, but oh-so-French, creperie to the elegance of dining in a restored abbey, guests meet and greet the proprietors, owners, and Chefs who thrive at the forefront of France’s modern cuisine scene. For a taste of Savoir Vivre’s unique dining program check out this video. 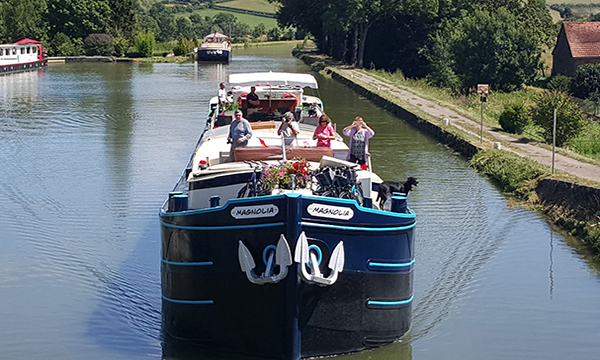 Back on board, guests relax with a glass of wine in the vessel’s comfortable salon, socialize with friends both old and new on the petite foredeck, or explore the miles of manicured towpath with a gentle pedal or a leisurely stroll. Smartly appointed, the four cozy cabins offer plenty of clever storage, perfectly designed for the needs of casual travelers. The vessel’s attentive crew of three is personable and professional, creating a convivial atmosphere both onboard and ashore. Consistently noted as a guest favorite, the Good Life indeed awaits on the Savoir Vivre. This video previews winetasting in Burgundy the Savoir Vivre way! Breakfast selections consist of freshly baked breads, croissants, and pastries from a local village boulangerie, along with fruit, cereal, yogurt, cheese, coffee, tea, and juice. Your catered lunches will showcase local ingredients to create regionally and seasonally inspired menus. Lunch is typically a light buffet featuring hearty salads and savory entrees with lovely table settings. Wine pairings feature a red and a white from area vineyards, along with a curated cheese platter of artisanal favorites. Note these are sample menus. Bon Appetit! Meals ashore:. 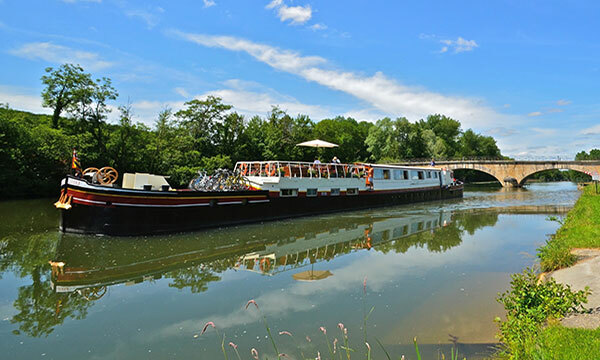 20% discount on cabin bookings for available May 2019 cruise weeks! 20% discount on a private charter or cabin booking for July 7-13, 2019 cruise week! – Michael F, Savoir Vivre.